Ventnor Marina (Sunrise Basin) is a place on the waterways minor waterways place place on the waterways major waterways place village town city on the Grand Union Canal (Warwick and Napton Canal) between Napton Junction (Junction of Grand Union and Oxford Canals) (6¾ furlongs and 3 locks to the south) and Budbrooke Junction (Junction of Saltisford Arm and Grand Union Main Line) (13 miles and 2 furlongs and 22 locks to the west). 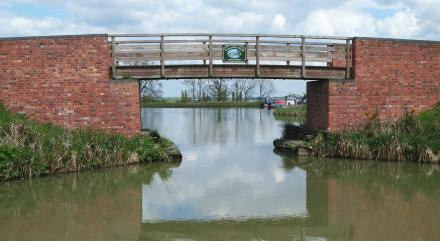 The nearest place in the direction of Napton Junction is Calcutt Marina (Home of Calcutt Boats); ¾ furlongs away. The nearest place in the direction of Budbrooke Junction is Ventnor Marina (Sunset Basin); 2½ furlongs away. Facilities: diesel for sale, gas for sale, boatyard pump-out, showers, toilets and laundrette. The place is a Marina. The marina office is at the other basin. Information last edited Wednesday the 10th of January, 2018 at 11:36 PM by Shultzy. Top Tomlow farm Tomlow Road Stockton, Southam, CV47 8HX — 937 yards to the southwest. Stockton — 1018 yards to the southwest. tomlow road, Napton on the Hill, CV47 8HX — 1381 yards to the south. Oak Farm, Green Barns Lane, Shenstone, WS14 0QN — 630 yards to the northwest. Napton — 1047 yards to the southwest. PO BOX 5117, Rugby, CV21 9HX — 1612 yards to the west. Tomlow Road, Stockton, Southam, CV47 8HX — 367 yards to the southeast. Shuckburgh Road, Napton on the Hill, Napton on the Hill, CV47 8NL — 1612 yards to the south. Calcutt Lane, Stockton, Rugby, CV23 8HY — 486 yards to the northwest. Southam, CV23 8HY — 654 yards to the northwest. Home Farm Stables - Tomlow Rd, Stockton, CV47 8HX — 830 yards to the southwest. Tomlow Road, Stockton, Southam, CV47 8HX — 1312 yards to the south. Ekko Equestrian , Barn Meadow Farm , Calcutt lane, Stockton, Southam, Rugby, CV23 8HY — 667 yards to the northwest. Calcutt Elms Farm, Rugby, CV23 8HY — 1040 yards to the northwest. Shuckburgh Rd, Priors Marston, CV47 8NL — 1357 yards to the south. Roadside Farm Shuckburgh Rd, Southam, CV47 8 — 1585 yards to the south. Barn Meadow Farm, Calcutt Lane, Stockton, Southam, CV238HY — 487 yards to the northwest. 162 yards to the south.